Some of our Halloween decorations. Very Poe-ish this year. Once upon a midnight dreary. Feels alot like that right now...heavy snow falling and tree branches dropping everywhere. No room on the sideboard for my Poe-inspired theater but I was revisiting photos this week so I'll show them here. 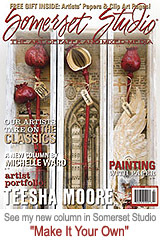 Somerset Studio will be hosting Poe themed art in the September/October 2012 issue. I'm already conjuring up a few projects. Why don't you consider submitting too? Due April 15. You'll be able to watch The Raven, opening March 9, in plenty of time to get inspired. Can't wait for this one! Did you hear Lady Liberty was dedicated 125 years ago today? I am so surprised Google didn't have a cool graphic about it. I love taking the Holland tunnel into the city so we can pass by Liberty Park for a drive by view. Everyone should have a replica - especially if you've visited the city. Don't have one? Click over to PaperToys.com and make one! Thanks for entering for the drawing of Stampington's new publication Mingle. Pop over to check it out at your local bookstore, I know you'll enjoy it. Top hat draw is Stephanie. Congrats girl! I will send out right away. 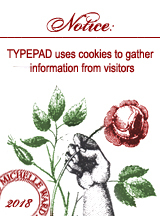 feedreaders: click through to see some cool graphics and scroll down for a give-away. Don't forget to enter in the drawing for Mingle in the post below. I will pull a name from the top hat on Friday. The Nov/Dec Somerset Studio has arrived. Look for it on your shelves soon, or subscribe so you don't miss an issue. I'm so happy to see my friend Anna published in it for the first time! Yay Finn! Also inside: Artist Portfolio of Mary Beth Shaw (of Stencil Girl Products!) and my friend Lynne Perrella with her longstanding column. My article this month is about making your own wrappings - something to think about with the holidays on the way. Get out and spray paint some paper while the weather still allows. Stampington sent their newest publication Mingle for a blog giveaway. It is a fabulous magazine - beautifully put together with gathering and party ideas for everyone. I think they hit it out of the park with this one! If you want to win a copy leave a comment. To order, visit the newly re-vamped (love it!) Stampington website. See this page for more details about Mingle, HERE. TO WIN A COPY OF MINGLE, LEAVE A COMMENT BELOW. DRAWING ON FRIDAY. And one more update: For the House Book artists, I uploaded the first set of sample photos. More to come. Click on sidebar link or HERE to see. I love this. Maximizing the scale of the logo minimizes the information conveyed....except here. There is no doubt what the name of the product is as we are so familiar with it, no matter what the scale. Two letters and we recognize it's Diet Coke. I love to advocate for using multiple sizes of same imagery. I repeat it often in classes. We even did it as a crusade. I will chop up one of these special issue cans to put in my journal alongside the standard issue as a perfect illustration of how changing a scale not only works, the answer of how to reinvent a look came from the original design. Nicely done! Special Issue Diet Coke design by Turner Duckworth. Every Sunday (and Monday night) from opening game through the Super Bowl we are a football watching family. As we know, October is breast cancer awareness month. Have you scheduled your exam? I am struck by the message these big burly men are helping to spread by wearing pink. This month I see them not just as players who battle it out on the field, but as boys who love girls. Men who love women. Males who have females in their lives: sisters, and mothers, and daughters, relatives, friends, neighbors...and they want them to be safe from this disease. I find it so moving. Regardless of what team you cheer for, or if you don't even follow the sport, you gotta love these boys supporting the cause. Bravo to the NFL. And bravo to all of you who have taken up the torch to raise funds and awareness. To each of you who has faced breast cancer, as a warrior, or as a cheerleader for a loved one, we huddle around you with genuine team spirit. This was the first project we did at Valley Ridge. Cool, huh? The point: it was a great ice-breaker to begin class, and to illustrate the point that we all need to march to our own drummer - especially in a workshop. Find your pace, then stretch it a little. Each artist made an awesome set of sticks...I wish I had taken a group photo! Drats. *waves* Hello! It's been a while. When we last spoke I was on my way to Valley Ridge. We had a terrific time - a full class of enthusiastic artists who painted and played for three whole days! It was rewarding on so many levels and filled my well for a long time. Love being in the studio and feeling the energy that gets generated when artists gather. One of our assignments was to walk the gorgeous property in search of new shapes to inspire hand-crafted tools (stencils and stamps). It was a perfect break from the work, to take in the scenery, breath in the not-quite-fall-air, enjoy the sun, and observe all that was before us. I found my way to Katherine's garden - very much in hiberbation and decay, with amazing shapes. The once vibrant flowers and plants presenting themselves as dried pods and other interesting stages of non-life. I later learned these were coneflowers - typically adorned with violet petals. My impression upon observing the dried evidence, was that the flower had possibly been a black-eyed susan, with golden petals. I am so glad I didn't know they were once purple, as the darker rustier color served as my inspiration for this painting. I used the river rocks stencil by Mary Beth, adding in a few larger stones to make it my own for the section of ground. I made my own stencils for the flowers, and included roots since my attempt at pulling a few to photograph came straight from the earth with entire stem and roots. And just days after arriving home from Wisconsin we road tripped up to Canada. It's been a few years since we have been there and promised the kids a return visit to see our beloved friends, the orcas. You can read about our previous memorable visits in a past post HERE. It was so heavy with rain on the first day that the park was not even open. Drats. Luckily it cleared enough by the next day that we headed straight for Friendship Cove at Marineland, Niagara Falls, Ontario, to see Kiska and Ike. A happy ending.